DYNAMIX Fibre Inline Enclosure. Holds up to 24x fibres. IP68. 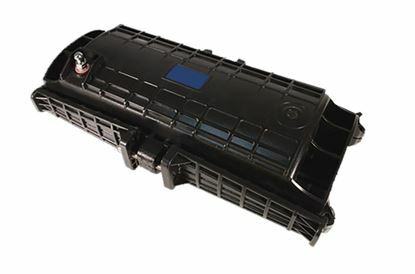 DYNAMIX Fibre Inline Enclosure. Holds up to 24x fibres. IP68. Integrated airtight & waterproof seal. Protection in temperatures from -45C~65C. DYNAMIX Fibre Inline Enclosure. Holds up to 72x fibres. IP68. DYNAMIX Fibre Inline Enclosure. Holds up to 72x fibres. IP68. Integrated airtight & waterproof seal. Protection in temperatures from -45C~65C. DYNAMIX Fibre Inline Enclosure. Holds up to 144x fibres. IP68. DYNAMIX Fibre Inline Enclosure. Holds up to 144x fibres. IP68. Integrated airtight & waterproof seal. Protection in temperatures from -45C~65C.